Come experience one of Petoskey's best kept secrets - one of the Midwest's best whitewater recreation areas right in the heart of Petoskey. 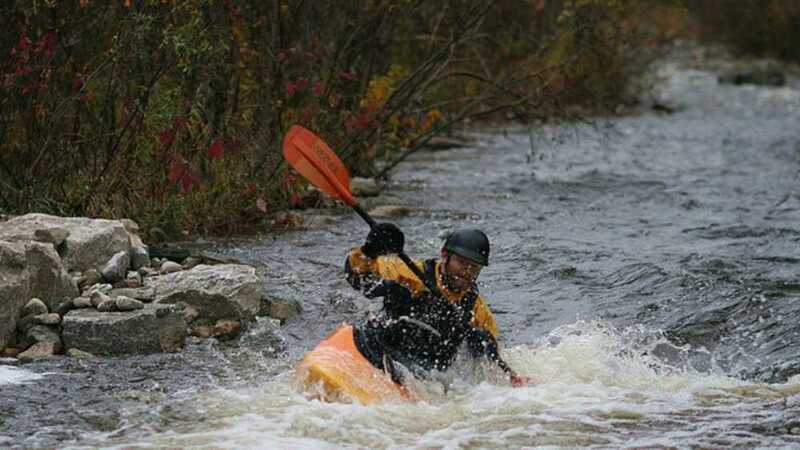 In 2010 the City of Petoskey undertook over $2 million dollars of improvements in the Bear River Valley Recreation Area including a .25 mile whitewater boating area in the Bear River. This improved whitewater course flows through an area that was once home to multiple dams and various industries. The Bear River has more falls than any river in the lower peninsula of Michigan. Today, you'll find a river that has been beautifully restored, with walking paths and lookouts that will keep even experienced whitewater kayaks entertained and coming back for more. The Bear River Valley also features steep bluffs, unpaved trails, concrete path, boardwalks, whitewater rapids and forest areas all in the heart of the City of Petoskey. Natural forest and open space areas are rich in plant species and local history. The park is, for the most part, undeveloped and is currently used for primarily passive activities including hiking, cross country skiing, fishing, rafting, environmental education and rock hounding. There are several large open grass areas and shelters that can accommodate group gatherings. Its natural setting and high water quality of the Bear River make it an important ecological value within the City.